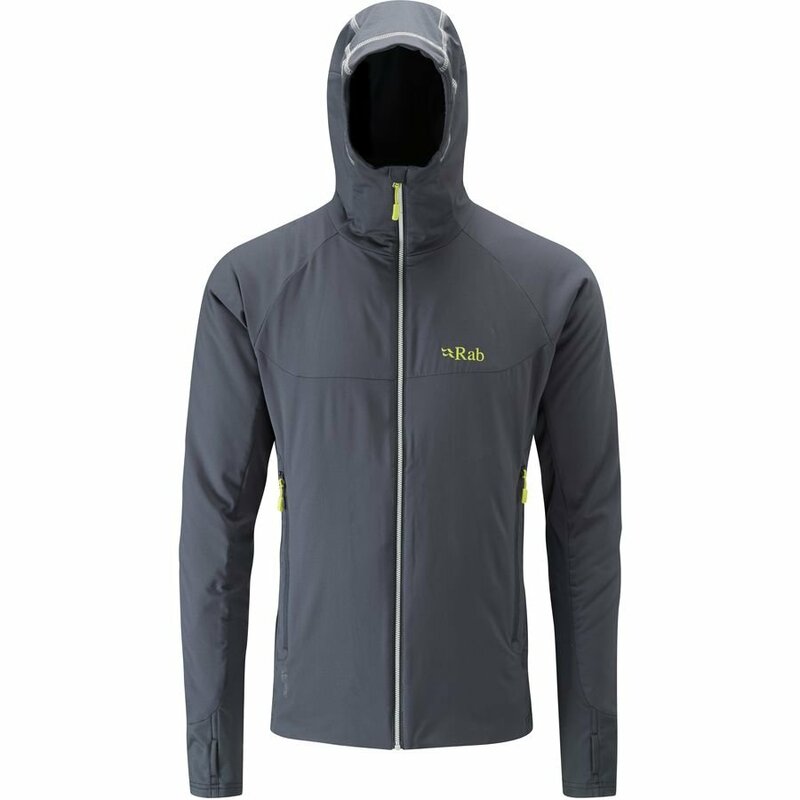 When winter's coming to an end and the weather can't make up its mind, fluctuating between 65-degree sun-filled days and then dropping back down to the 40s with dark clouds on the way, turn to the Rab Men's Alpha Flux Jacket for warm, cozy comfort and athletic performance out on the trail. Its Polartec Alpha Direct 90 lightweight insulation ensures you stay warm and well-protected from biting winds out on the trail, while the Thermic-lux fleece fabric offers just the right amount of stretch to move with you when climbing at the crag. Stretchy cuffs with built in thumb loops lock down your fit with a plush feel while cinching out cold breezes, and the Polygiene anti-odor treatment keeps you smelling and feeling fresh after an intense session bouldering with friends.